All new MGs come with a comprehensive manufacturer warranty as standard. Our vehicles are designed to the highest standards and then rigorously tested to ensure that nothing should go wrong. In the unlikely event that something does go wrong with your MG, you have complete peace of mind with your warranty. See below for a breakdown of what's covered. Guarantees repair replacement or adjustment, free of charge, by an authorised repairer, of any part which fails during the warranty period, as a result of a manufacturing or material defect. Guarantees paintwork repairs to defects such as blistering, peeling, cracking, discoloration or staining of the visible painted surface of the vehicle body panels occurring as a result of manufacturing or material defect. Guarantees all 'wear and tear' items, excluding tyres and batteries that are subject to failure as a result of a manufacturing or material defect during the first 12 months of the Warranty period or prior to the first scheduled chargeable main service, whichever is sooner. The SAIC contractual warranty provided in Australia by SAIC Motors Australia PTY LTD is in addition to the rights and remedies that consumers may have under the Competition and Consumer Act 2010 (and in particular the Australian Consumer Law (ACL)) and other applicable Commonwealth, State and Territory legislation. In particular, a consumer may have rights under the ACL to a repair, refund or replacement, even in circumstances where for whatever reason the SAIC Motor contractual warranty is invalid or is otherwise not available. The contractual warranty does not affect any statutory rights or remedies, except to the extent that their application may be lawfully excluded. Commences on the day the vehicle is first registered or the date of sale to its first owner whichever is the sooner and is irrespective of change of ownership. The vehicle is covered for a period of 6 years and Unlimited Kilometers and excludes vehicles used for a commercial use. The warranty terms provided on commercial use vehicles is covered for a period of 6 years or 150,000kms whichever comes first. The 6 Year or 150,000 Kilometre Warranty (whichever occurs first) applies to vehicles used at any time during the warranty period for Commercial Use, this would include but is not limited to vehicles used for Rental purpose, Taxi, Courier vehicle, Driving School vehicle, Hire Car, Security vehicle or Bus and Tour vehicle. In all cases, the contractual warranty commences upon the registration of the vehicle. This then becomes the contractual warranty start date as entered by the dealer to MG Motor System. The warranty will expire at midnight the date before the warranty start date, six (6) years after the warranty start date. For example, Warranty Start Date 15/06/2013 identifies a Warranty End Date 14/06/2019. MG Warranty provides a Six (6) year anti-perforation warranty defined as rust through corrosion of the painted metal body panels from the inside or underside of the panels occurring as a result of faulty workmanship or materials used during the original manufacturing process of the vehicle. Details of the inspections must be recorded in the service handbook duly completed at the time of the periodic inspection visits is required for any claims under the Anti-Perforation Warranty. SAIC vehicles are guaranteed by the manufacturer against any defect in the original paintwork for a period of six (6) years from the date of delivery or registration, as entered on the Warranty Certificate supplied with the vehicle. Commences on the day the vehicle is first registered or the date of sale to its first owner whichever is the sooner and is irrespective of change of ownership. The vehicle is covered for a period of 7 years and Unlimited Kilometers and excludes vehicles used for a commercial use. The warranty terms provided on commercial use vehicles is covered for a period of 7 years or 150,000kms whichever comes first. The Warranty Commences on the day the vehicle is first registered or the date of sale to its first owner whichever is the sooner and is irrespective of change of ownership. The 7 Year or 150,000 Kilometre Warranty (whichever occurs first) applies to vehicles used at any time during the warranty period for Commercial Use, this would include but is not limited to vehicles used for Rental purpose, Taxi, Courier vehicle, Driving School vehicle, Hire Car, Security vehicle or Bus and Tour vehicle. The warranty will expire at midnight the date before the warranty start date, seven (7) years after the warranty start date. For example, Warranty Start Date 15/06/2013 identifies a Warranty End Date 14/06/2020. MG Warranty provides a seven (7) year anti-perforation warranty defined as rust through corrosion of the painted metal body panels from the inside or underside of the panels occurring as a result of faulty workmanship or materials used during the original manufacturing process of the vehicle. Details of the inspections must be recorded in the service handbook duly completed at the time of the periodic inspection visits is required for any claims under the Anti-Perforation Warranty. SAIC vehicles are guaranteed by the manufacturer against any defect in the original paintwork for a period of seven (7) years from the date of delivery or registration, as entered on the Warranty Certificate supplied with the vehicle. The original vehicle battery installed at the factory will be covered for a period of one (1) year or 20,000kms whichever comes first. The New Vehicle Warranty does not include tyres, these are covered by the warranties provided by the tyre manufacturers or suppliers and any claim for tyres should be directed to the nearest tyre supplier or manufacturer service agent. The roof decals installed through the approved MG Motor decal supplier network will be covered for a period of two (2) years. MG Motor Australia 2017. #6-year factory warranty terms & conditions at mgmotor.com.au/warranty. ^7-year factory warranty terms & conditions at mgmotor.com.au/warranty. Your rights under this warranty sit alongside the consumer guarantees under the Competition and Consumers Act 2010, which cannot be excluded. !6-year roadside assistance terms & conditions at mgmotor.com.au/warranty. !7-year roadside assistance terms & conditions at mgmotor.com.au/warranty. 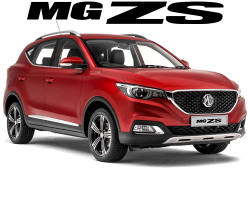 SAIC Motor Australia Pty LTD reserves the right to make changes in content, description or terms of the warranty policy if it's deemed necessary by legislation or business objectives and agree to give MG Dealers notice of any changes. All claims are notified to, and carried out by, an authorised MG repairer during the Warranty period. Warranty paint rectification must be arranged by the authorised MG repairer in accordance with MG repair procedures. All repairs, damage rectification or fitting of replacement parts and accessories are carried out by an authorised MG repairer and in accordance with MG instructions. The vehicle has not been altered from the original specification, where said alterations maybe found to be the cause of any subsequent component failure. 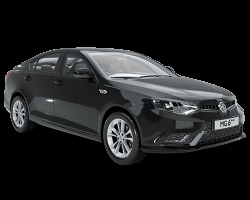 The body panels are inspected annually throughout the warranty period by an authorised MG repairer, and any rectification work found necessary is carried out in accordance with MG's recommendations. The vehicle has not suffered from neglect, improper repair, or improper use, and has been properly cleaned, maintained and serviced in accordance with MG's recommendations. Each main service is carried out within 3000 kilometers or 28 days of the recommended mileage interval or service anniversary date as shown on the Service Interval Plan (within the service portfolio) and that the appropriate Service Record page is stamped and endorsed by the servicing agent. Vehicles must be serviced in accordance with specified service schedules as issued by SAIC Motor Ltd and parts that meet the original equipment specifications must be used. Whilst the Warranty will not be invalidated if a non-authorised MG repairer carries out this work, Warranty faults resulting from work carried out by a non- authorised repairer may not be covered under the MG Warranty. If the service is not carried out within this time, then the vehicles warranty may be affected. 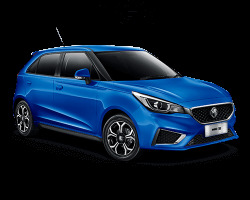 MG approved parts are used for repairs effected under warranty, the MG authorised repairer reserves the right to reject any claim where it is felt that the cause of the defect is due to the use of a non-approved part. The vehicle is not used for rallying, racing or competition purposes of any kind. The vehicle is not subjected to any load heavier than the maximum recommended by the manufacturer. 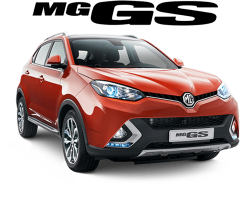 MG provides 12 months unlimited mileage warranty on MG genuine replacement parts. Only parts appearing in the MG retail price list are the responsibility of MG for Warranty purposes. Only MG genuine parts may be used for repairs under warranty. SAIC Motor Australia Pty LTD does not recommend the fitment of non-genuine, unapproved or Unauthorised accessories. MG Genuine Accessories are engineered designed and to provide correct fitment and durability, as well as ensuring the full compliance with all relevant domestic legislation. Non-genuine, unapproved or Unauthorised accessories are NOT covered by the MG New Vehicle Warranty. In the event of a concern the warranty provided by the respective manufacturers or suppliers must be followed. Quick wear parts are not covered in scope of the vehicle warranty. For example: lubricating oil, engine oil and filter, spark plug, braking plate, braking pad clip, clutch plate and clutch clip, cleaner and polishing agent, lamps and normal wearing of the tires, wiper blades and damage to the vehicle caused by improper fuel, oil and lubricant. Damage to the vehicle due to maintenance (including inspection to all kinds of oil, lubricant and fuel level) that are not recommended in maintenance warranty and the manual of SAIC or improper fuel, lubricant for cooling fluid used to the vehicle are no covered in the scope of claim for warranty of entire vehicle. Vehicles that have exceeded the maximum permitted mileage covered by the Warranty. Replacement of consumable parts such as air cleaner element, spark plug, injection nozzle, fuse, drive belt, bulb, brushes of alternator and starter, brake pad (FRT, RR) and linings, rubber part (except engine mounting rubber), clutch disc, oil and any other filter elements when such replacements are made as part of any normal maintenance services. 1.3 Items Affected by Wear, Exposure, etc. Brake linings or brake pads, brake drums or discs. Rubber materials such as hoses, belts. Damage to a vehicle caused by industrial, chemical or other environmental fallout, salt, sap, pollen, sand, hair, windstorm, lightening, or other environmental conditions are not covered by warranty. Any damages or failures resulting from improper use such as the following are not covered by warranty. Use of improper or dirty fuel, oils or fluids. Repairs made necessary due to use of equipment not designed or recommended for the vehicle by SAIC and/or alterations and additions to the standard vehicle are not covered by warranty. SAIC Australia passes on to the owner the original tyre manufacturer's warranty. The manufacturer's agent handles these warranties, and franchise holders must resolve with the agent on behalf of the owner. Excessive tyre wear, inconsistent with normal use may be considered under the contractual warranty only when the wear is the result of a component exhibiting a contractual warranty defect Prior. If tyre wear is attributed to incorrect alignment settings this will not covered as this is set at the time of Pre Delivery. Checking of the Alignment of a steering wheel is a during pre-delivery and is therefore not claimable. Wheel Balance and Alignment is claimable only up to 6 month/10,000 kilometres as a result of a manufacturing or material defect only. Rattles in the vehicle are not claimable via the warranty system unless they are connected with a manufacturing defect or fault. The alignment or adjustment of eternal body panels such as bumper, boot, bonnet or doors would not be considered as a warrantable defect. In the instance of a breakdown the customer may call Roadside Assistance; in metro areas, the vehicle will be towed to the selling dealer unless otherwise directed by the customer. In all other areas the vehicle will be towed to the nearest SAIC Motor Australia Pty LTD Dealer (100kms) for repairs to be carried out. Towing fees from an outside towing company cannot be claimed through warranty and the cost will be borne by the customer. The adjustment of the handbrake would be classified as a service item therefore is included as a part of routine scheduled servicing and is not claimable. These are maintenance items and are not claimable. SAIC Motor will not accept responsibility for accidental damage under any circumstances. Such damage is normally referred to insurance. Any defect or damage caused by contaminated fuel is not claimable. Filters must be replaced in accordance with service schedule details, or earlier if it is known that fuel contamination has occurred. Glass is covered by the MG Warranty only if a result of a manufacturing or material defect. Not claimable unless associated with a manufacturing defect. It is strongly recommended for Dealership to use Genuine SAIC Parts for all maintenance and repair works because they are manufactured to the same engineering standards and quality control as the original equipment. Any warranty repairs or replacements should be carried out using genuine parts. Warranty services carried out using non-genuine parts are, in principle, not covered since the use of them may adversely affect vehicle performance and reliability. Any damages or declines in vehicle performance and/or reliability resulting from the use of non-genuine parts are not covered by warranty. No coverage is provided to any vehicles on which the odometer mileage has been altered and the actual mileage cannot be readily determined. When replacing the odometer, it is important to enter the odometer reading of removed odometer in both the vehicle history file and the Warranty and Service Information booklet (Service Guide). SAIC Motor Australia Pty LTD is not liable for any breach of warranty caused by or resulting from prohibition or restriction by law or regulation of any government, fire, flood, storms, war, strike, lockout, or other labour troubles, accident, riot, Acts of God, or others beyond the parties' control. Operational Characteristics are generally not accepted as warranty claim caused by defect in material and workmanship, and/or same as the difficulties, which happens in very limited operation only. Very small and low sound or vibration, which is not recognized as affecting quality or function of the vehicle. Very slight oozing of oil or the like about packing and/or oil seals, which causes no decrease in the quality of the oil or the like. External appearance defect such as paint, chrome and trim, which are not visual unless magnified by special means. Any concern caused by an external repairer will not be covered by SAIC under any circumstance. The owners handbook describes the proper care and use of the vehicle. Make sure all required maintenance is performed and all materials used meet MG Australia engineering specification. Note: Failure to perform maintenance promptly and in accordance with MG specified service intervals will invalidate warranty coverage on the parts effected. Make sure the vehicle is presented to a dealer for any warranty repair as soon as practicable after defect is detected. This will minimize the effect a defect has on the vehicle and the nature of the repair needed. Make sure that receipts for completed maintenance work are retained with the vehicle and confirmation of maintenance. Work is always recorded in the vehicle documentation.